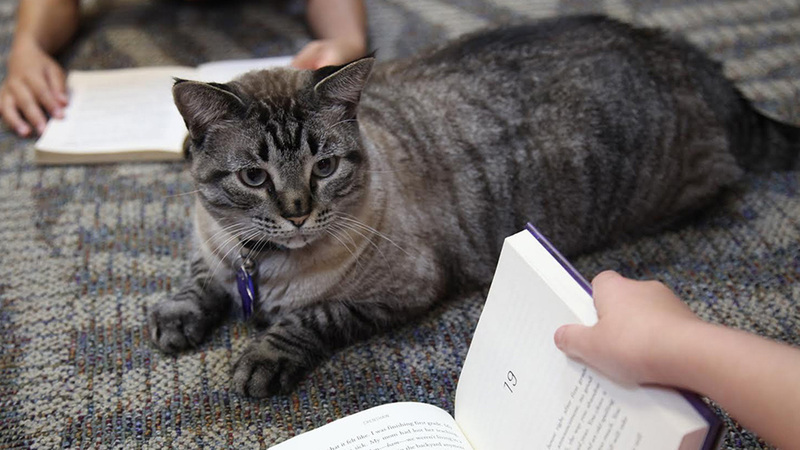 WHITE SETTLEMENT, TX -- A North Texas city council has voted unanimously to reinstate Browser the cat to his job as live-in mascot of the city's public library. KRLD-AM in Dallas-Fort Worth reports the governing council of the Fort Worth suburb of White Settlement voted 3-0 to let Browser stay at the library two weeks after voting 2-1 to give the tabby 30 days to check out. Mayor Ron White had said the move against Browser was a response to officials' denial of permission to an employee to bring a puppy to work at City Hall. But he says he was overwhelmed with more than 1,000 messages on social media, all in support of keeping Browser on the job. The vote was taken without hearing from Browser's supporters who jammed the council chamber.